NORTHERN is new jazz project developed by Maja in collaboration with field recordist Hervé Perez and video artist Adam York Gregory. During 2018-19 the artists will undertake residencies in Lancaster, Barrow and Manchester exploring the sonic and visual identity of these places through field recording, video recording, composition and workshops with local schools and residents. 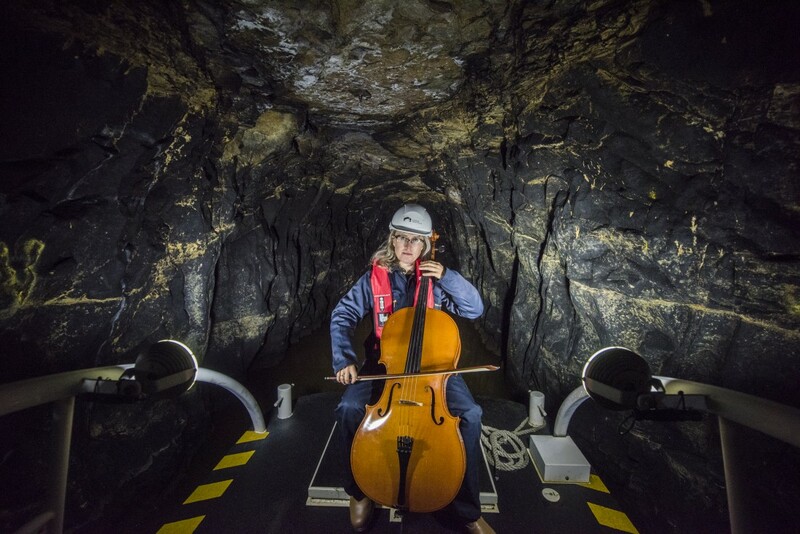 The final performance will be an improvised concert for cello, electronics and visuals reflecting how we see, hear and relate to our surroundings. For the first time in its history, the show resulting from the Nuffield Residency will become a co-production between Lancaster Arts and other project partners Full Of Noises and Manchester Jazz Festival. On being selected for the residency, Maja said: "I am very excited about this unique opportunity. The Nuffield bursary allows me to fully explore the interdisciplinary nature of my work as a musician and composer and gives me a great opportunity to invite audience groups of different background into the process of devising a new piece of work." Maja’s work and ideas particularly chime with the themes being explored by the team at Lancaster Arts who are currently busy preparing a season on the themes of walking, pathways and mobility. Unique in its form, NORTHERN applies Jazz improvisation techniques to film making and sound sampling and we trust it will appeal to the many. Maja Bugge’s piece will resonate with those who feel northern through and through, to nature lovers and to those prone to feelings of wanderlust. See NORTHERN at Full of Noises on 17 Aug 2018, Manchester Jazz Festival and Lancaster Arts in 2019.